How exciting can it be to buy nappies at the supermarket? I haven’t been so excited about new nappies since I got J her first Itti Bitti minkee cloth nappy! 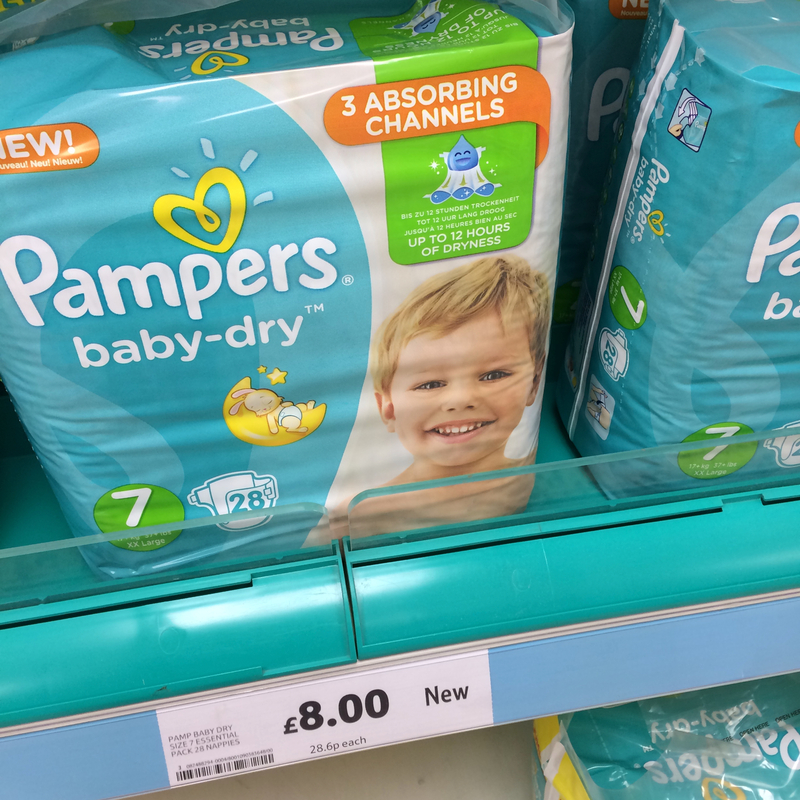 Pampers have just released a (brand new to the UK) larger size (size 7! ), a size which until now (as far as I know) has only been available from specialist manufacturers via online order (or through NHS continence services). 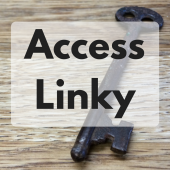 I can’t find a link about them on Pamper’s website, so I’m not sure they realise just what a difference this new size will make to families with disabled children – hopefully time will tell them this! 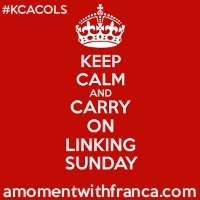 I found out about them last week after a buzz of posts and shares on my Facebook timeline and in support groups! In the circles I move in, it was something akin to the release of a new Apple product you weren’t expecting! As soon as I got the chance, I popped to my local Tesco superstore (yes in store! Not just online, although they do have them at Tesco online! too) and picked up a couple of packs! Granted they are not the cheapest of nappies, at £8 for 28 (28.6p/nappy) but they are in the same ball park as the other Pampers Baby Dry products and a similar cost to alternatives in the same size, with the added convenience of being able to pick them up when you need them, along with the rest of your shopping! Until now you could pick up baby and toddler nappies and adult continence products in store, but no sizes in between! Well, there are quite a number of reasons. 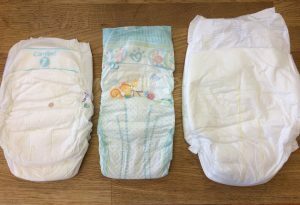 I hate waste and I love the idea of cloth nappies, and we have used them in the past, and still often use cloth wipes. We’ve tried lots of different brands Bumgenius, Tot’s Bots, Bambino Mio and of course, the pictured, Itti Bitti’s, which come in lots of different styles; 2 part, pockets and snap in ones. We came late to Itti Bitti, which it turned out were by far the best fit for J’s slim frame, but even then we still had a lot of leaks. The older she got the more impractical we found cloth nappies became for her, as they require so much additional stuffing for absorbency that they become really bulky, and result in an unnatural sitting & standing posture. For someone working hard on independent sitting, high kneeling and assisted standing, having a massive wad of extra fabric around your bum really doesn’t help! 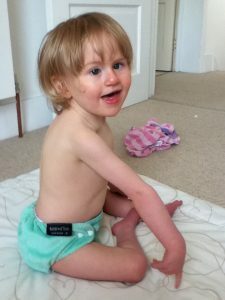 Also, big cloth nappies also look bulky, which on a little chunky baby or toddler is V cute, but on an older child, I feel that a big padded bum draws attention to the nappy, with the added problem of finding clothes with enough room in the bum area, in a size where society expects kids to be ‘toilet trained’. Yes, many do. Indeed J now does. 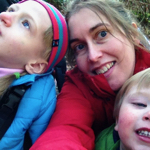 She was referred to continence services via the school nurse when she started in reception class, so she’s been receiving them for around a year now. This is of course brilliant and makes a huge difference. However, it would seem that continence services vary enormously from region to region in terms of eligibility, both in terms of the age at which you can be referred and the number of pads/day you’ll receive. In our area we receive a delivery every 3 months (finding somewhere to store these packs is another challenge! ), and there tends to be enough to last about 2 months (give or take a few days). Until now we have been buying standard 6+ size nappies to cover the additional month, but really they are little too small (especially overnight!). So a new size 7 is exactly what we need! The benefit of the new size isn’t only about the convenience either. For example our continence services supply Tena products, and they leap up in size from the Comfort Libero size 7 (a size and price comparable to the pampers original size 6+) to Tena Slip Junior (they call them junior but really they are xxs adult) which also jump up in price to 35p/pad! And that’s it, you can see the difference in size (in length and bulk) in the adjacent photo! The Pampers product is not only providing an intermediate size but also a much slimmer fit, which so far we have found to be just as absorbent. There are of course pull-ups, which have provided us with an emergency option, but pull ups are really meant for kids who are toilet training so we don’t find them as absorbent. The nightime nappy pants are a little better, but again the expectation is that you may use 1 or 2 per day so they’re also much more expensive than standard nappies. The other issue for someone as slim as EJ, is pull ups are not as adjustable as regular nappies, they’re never get a good fit around the legs. But, one of the most obvious problems for some disabled children, is pull-ups are really tricky to get on when you cannot stand independently! There’s an obvious vested interest for our family, but as a designer with an interest in products, I feel that the current nappy/pad manufacturers are completely missing a trick! As I’ve mentioned there’s a massive gap in the market here! 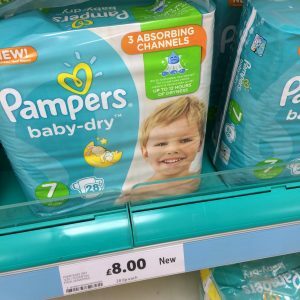 The processes for making nappies and incontinence pads is in place (a variation in size can’t be a completely stand alone product as Pampers have shown), so why wouldn’t more manufacturers branch into making size 7s, and even 8s?, to sell direct to customers in supermarkets and even to supply to continence services!? As it would seem that Pamper’s have decided to do just that! Whether they are taking advantage of a regular family market (perhaps they’ve identified toilet training is more frequently happening later, or that there are more large (obese?) typically developing children around who need bigger nappies?) or whether they’ve decided to branch into the disability market (a bit of both maybe?)? Who knows?! In some ways it doesn’t matter the motives if the products are out there. I’m just hoping the outcome is that the manufacturers, and the retailers, take note of the demand and, maybe through more competition, the costs will come down (which would not only benefit direct customers but also continence services!)? At the very least, as baby dry is part of a standard product line, they should become subject to all the usual supermarket special offer deals (BOGOF or 3 for 2 offers etc) that regular baby products are….so hopefully customers will benefit from that…. My very good friend at Brody, Me and GDD has been tirelessly campaigning on this issue, so please help her to keep up this momentum and sign her petition to encourage more manufacturers and supermarkets to inhabit this gap in the market! 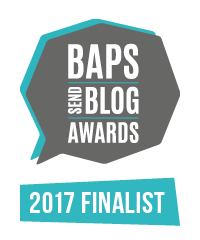 You can read her blog here and follow her on twitter @LauraRutherford for updates!